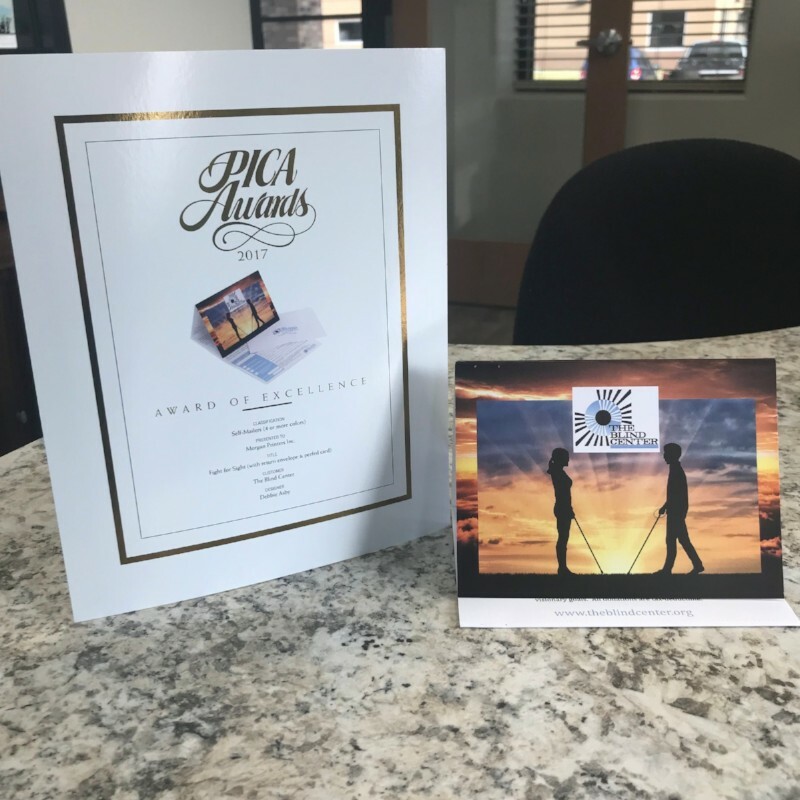 Every year the Printing Industry of the Carolinas, Inc. (PICA) gives out awards to printers all over North and South Carolina. 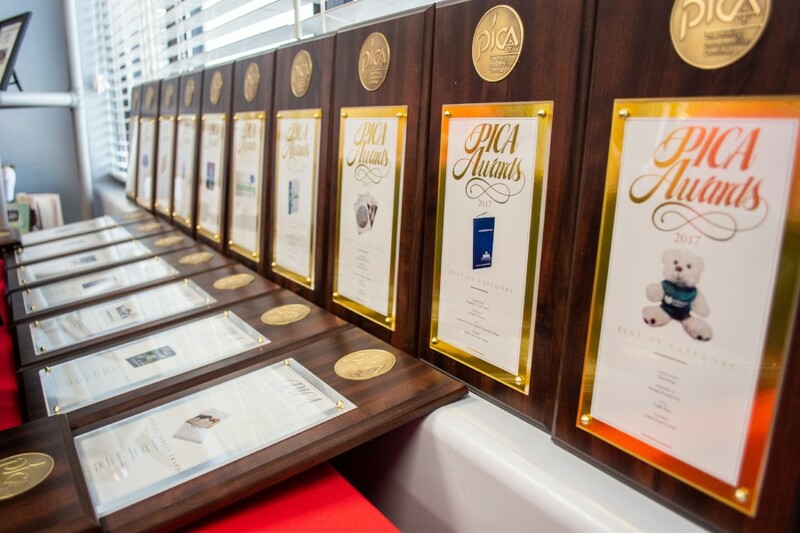 PICA judges analyze print work in different categories to find the best of the best printers in the Carolinas. 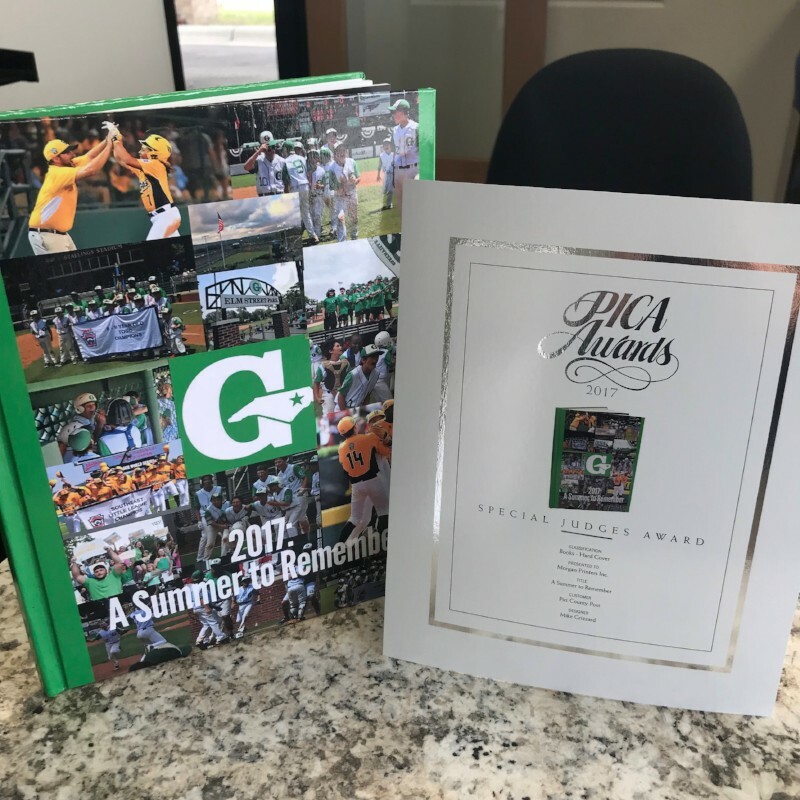 We are happy to announce that we won 19 PICA awards for our work in 2017! 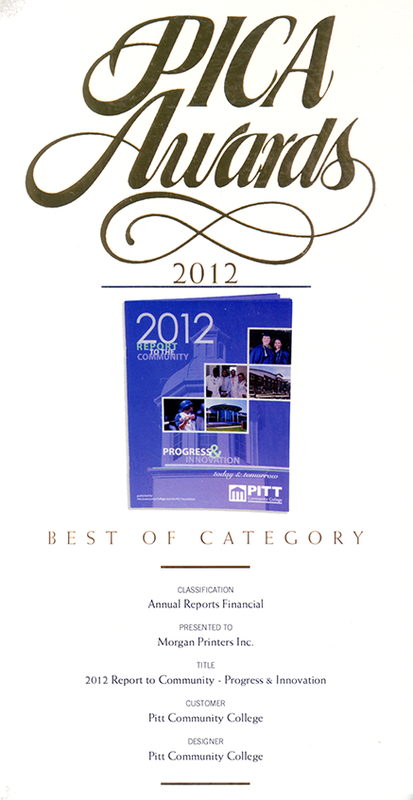 Contact us today and see what award-winning work we can do for you! 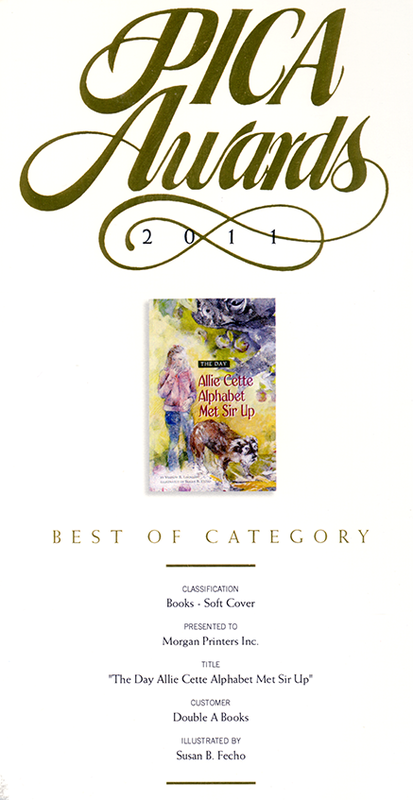 "A Summer to Remember" won a Special Judges Award for hardcover books in 2017. 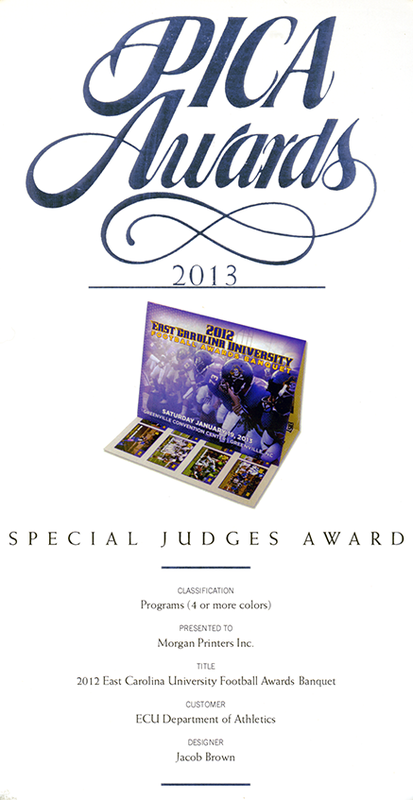 It was created to commemorate Greenville's very own Little League Team and their hard work! 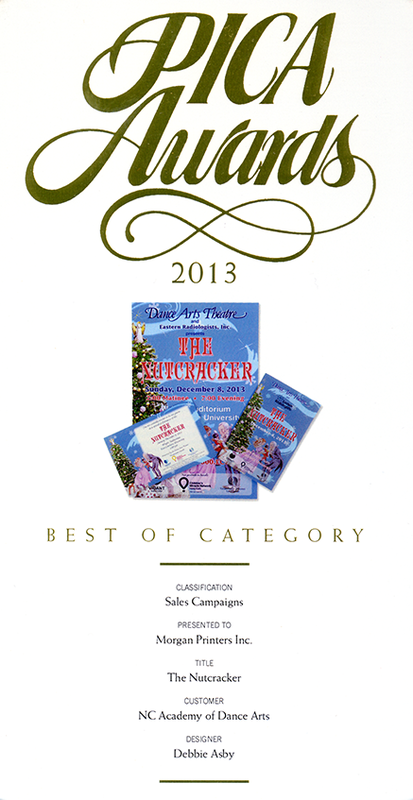 Our teddy bear thank you cards have won a Best of Category Award for die-cutting! 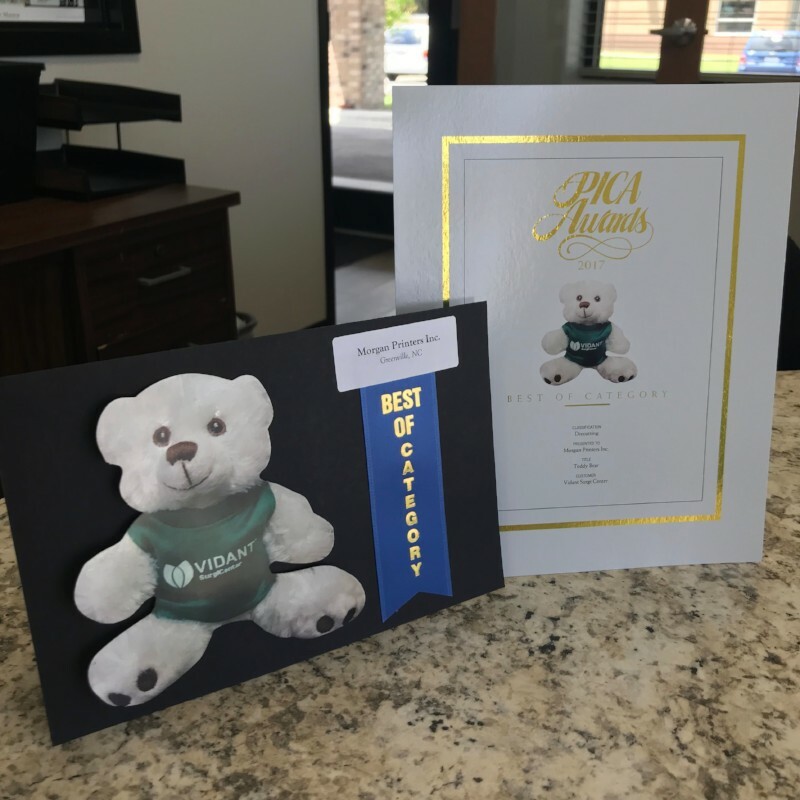 Vidant Surgicenter uses these adorable cards to say thank you to their patients. 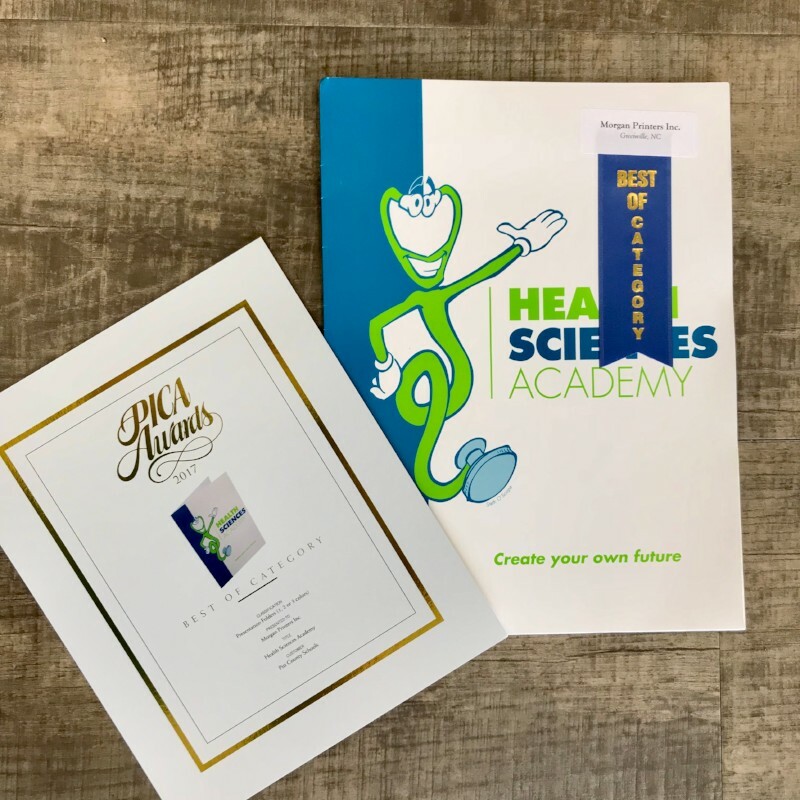 This folder was printed for the Pitt County Health Sciences Academy and won a Best of Category Award for presentation folders. 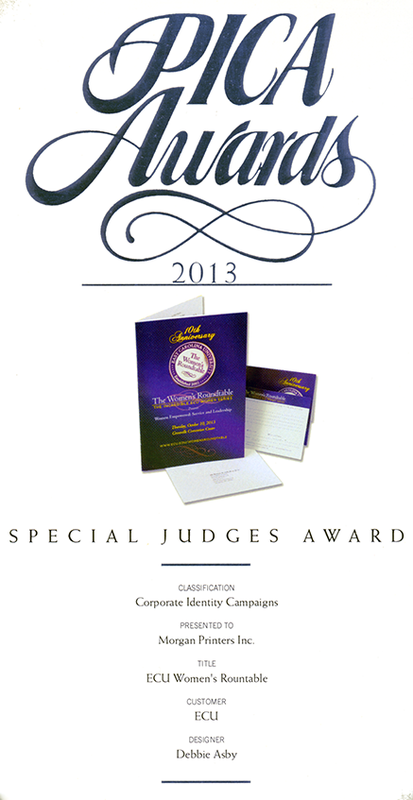 Our work with The Blind Center won an Award of Excellence for self-mailers in 2017! 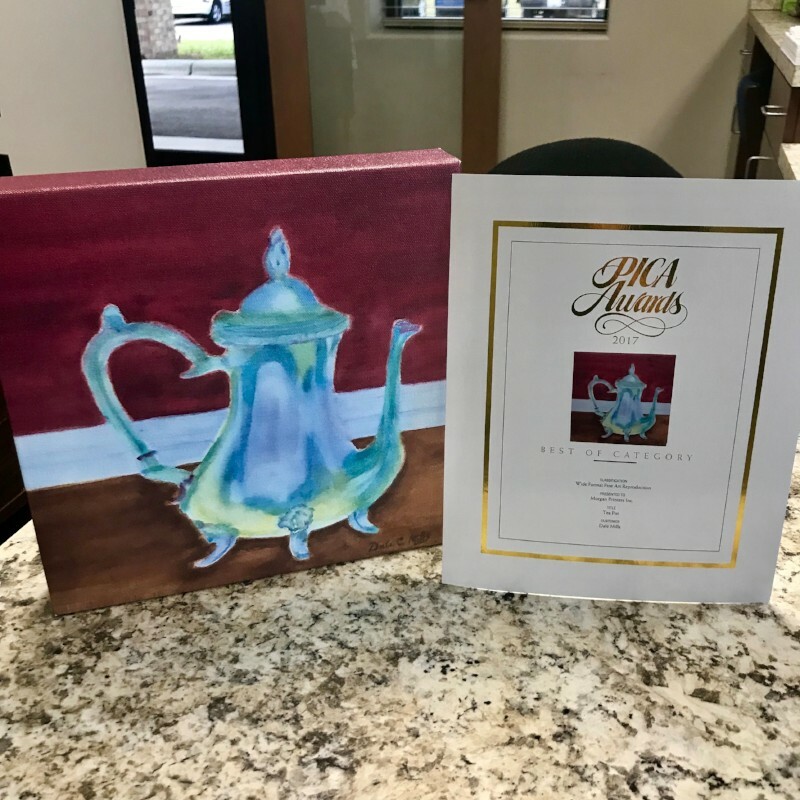 From a local artist, Dale Mills, we've recreated her artwork and gallery wrapped the canvas! 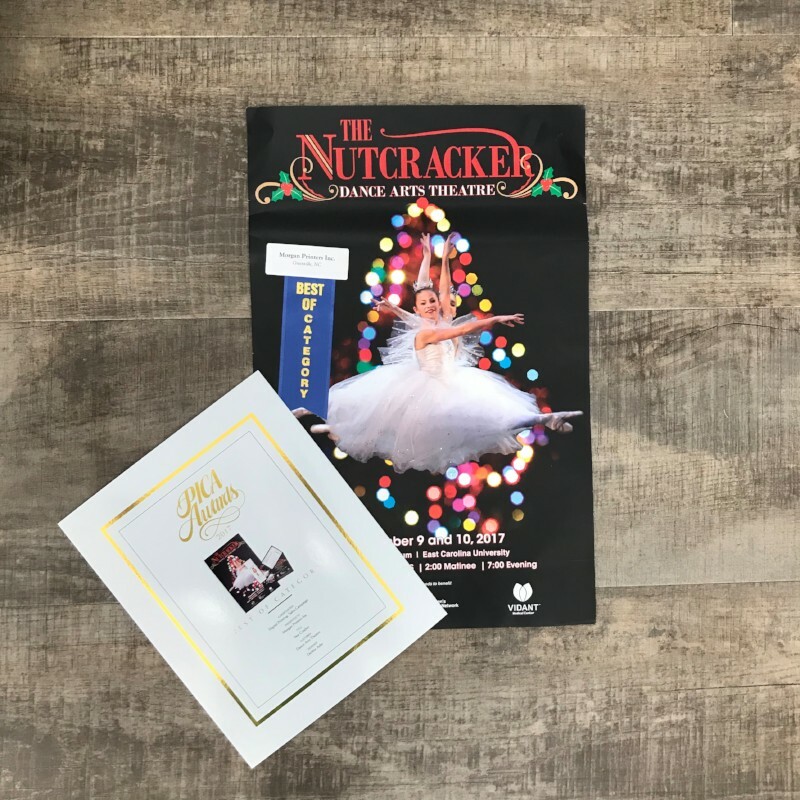 This beautiful Nutcracker poster designed by our very own Debbie Asby has won a Best of Category for digitally printed sales campaigns. 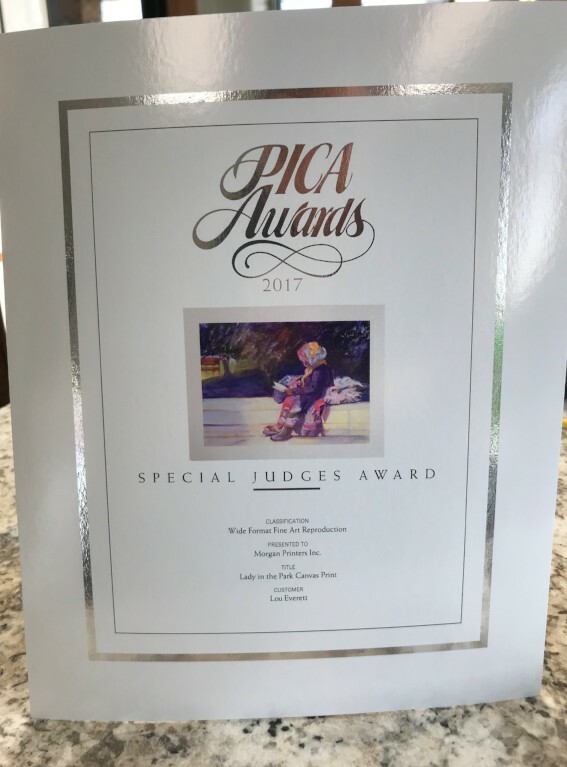 Painted by Lou Everett from a photograph taken by Ben Peery, our recreation of "Lady in the Park" won a Special Judges Award for wide format printing. "The Day Allie Cette Alphabet Met Sir Up"